I produced many TV shows, programs and videos for a very long time, since I was in my early 20’s. It’s been a passion and has enabled me to have a creative outlet for my photography and videography since I left high school. Many of you know my background but for those who don’t you can catch up a little by reading the side bars on the blog. 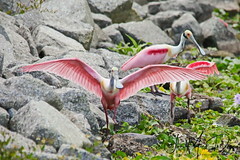 About 15 years ago I decided to take my photography into the realm of wildlife photography; this was after I spent 5 years intensely photographing the parrots who lived in our home. Then, in 2010, I starting producing short videos I branded “RELAX” videos. The RELAX videos are embedded in this blog. RELAX videos are a bit different from the fast cut, music pounding videos normally produced today. I have done enough of those in my life. The sound of RELAX videos are usually fully natural sounds or very easy listening, specially selected audio cuts from purchased production libraries to “spice” the visuals. Visuals are slow progressing so you can stop for a little while and enjoy watching beautiful wildlife or scenes with natural or easy sounds. Please feel free to watch and share these videos at your convenience. I hope you can actually RELAX while experiencing the full HD quality of the visuals on a large TV/video monitor, tablet or super large full screen HD system. 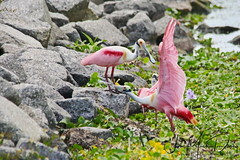 Sit back, click these to HD 720 or 1080 shoot them out to your big screen and sound system and enjoy the wildlife of South Florida. 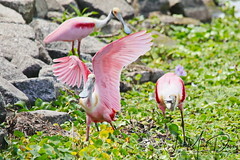 A truly relaxing video with many bird species found in South Florida Wetland areas. 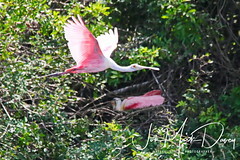 This production highlights the Green Cay wetland park in Palm Beach County. This video highlights the feeding frenzy of Cattle Egret chicks and the exclusive bathing habits of a Black Crowned Night Heron, nothing like it anywhere. Listen for the sounds of the Quaker Parrot flock flying overhead. 10 minutes of natural waterfall pleasure, I shot this one in Green Bay WI during a seminar training week. I was able to sit on the ground and become a part of their grazing path without alarming them. 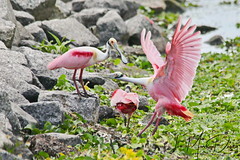 How the Roseate Spoonbill lives in the wetlands of South Florida. Beautiful birds living among the masses. If you like any of these videos please share them with your groups so others can see them also. Please visit the QuakerVille You Tube channel for more videos like these and subscribe to the channel.